35" x 35" x 10" Gusseted Yarn Dyed Bed A new style added to the Home Décor collection is the BRINKMANN PET? 35 inch x 35 inch Gusseted Yarn Dyed Bed. This bed features a hefty 10 inch gusset made from quality furniture grade fabric and a quilted plush sleeping area lined with batting for that extra comfort. Now this is a bed your family friend will sink into! filled with ECO-FIRST? recycled fiber fill for unbelievable comfort and lasting shape. 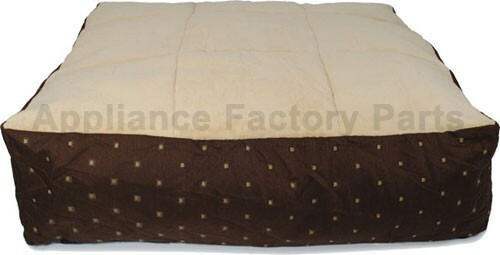 Color: Brown Care Instructions Easy to care for removable cover is machine washable and dryer safe. We're adding new 876-WG35-35730.2 parts all the time, contact us for pricing and availability.